"The hostel is pretty good location." Have a question for Amazing House? For travelers who want to take in the sights and sounds of Bangkok, Amazing House is the perfect choice. The hotel lies 06 Km from the city center and provides accessibility to important town facilities. Also within easy reach are Max fashion, Velothailand, Jack Armani Suit. Amazing House offers impeccable service and all the essential amenities to invigorate travelers. While lodging at this wonderful property, guests can enjoy free Wi-Fi in all rooms, car park, airport transfer, tours, laundry service. In addition, all guestrooms feature a variety of comforts. 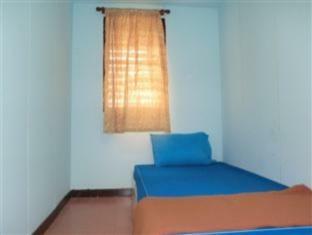 Many rooms even provide air conditioning, fan, seating area, shared bathroom to please the most discerning guest. Besides, the hotel's host of recreational offerings ensures you have plenty to do during your stay. With an ideal location and facilities to match, Amazing House hits the spot in many ways. I stayed at the hotel for 7 days. The hotel is located in good location, close to Khao San road, Bang Lamphu and not far away from the Grand Palace, even if my room is quite small but value of money. I like it. I do hear out everyone's comment here but it didn't bother me at all. It was the price I paid and it was totally value. I agreed that i could hear others from the bedroom next to mine but that didnt bother me. Yes, i could hear the noise from the queit street (i had the room with a window) but still that didnt bother me. What bothered me is that i could make noise because could here like rocking the bed!. If you know what i mean Would I stay there again? Sure! Great location, close to khao San if you want to go there for anything but it was in a quieter area with plenty of restaurants, bars, massage salons, etc. Personally, I preferred being away from the chaos of Khao San. Very basic rooms but they are clean and they provide you with a towel and soap. Wifi even worked in the upstairs rooms. No complaints, great value for your money! I stayed 1days. Location is good that it close to Ferry Terminal and convenience store. room is clean but hot Because Fan ,Have Stay Aircon Room I can't recommend if you think that will stay with family. WiFi is no problem so that can connect always. The room is small, and very basic. 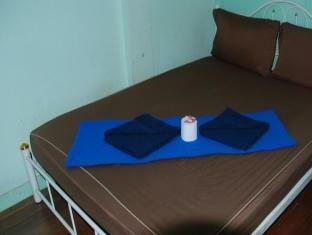 If you just need a place to sleep at night, this hostel is suitable because of its price, location. Share bathroom is no problem. Its very cleaned. But the only one problem is the wall is too thin, if someone walk out there, or talking in the next rooms, its a bit noisy. Quite clean compared to many places, didn't feel at all icky. Shared bathrooms with cold water but, unfortunately, no waste baskets inside and no toilet paper provided. The rooms are quite tiny, but their biggest flaw is the complete lack of hooks and drying racks (wet towel, anybody?). Table space is very, very limited also (no closet), so be prepare to dump your stuff on the floor. You may have to ask to get towels or blankets; they forgot ours both times. Some rooms do not have curtains to cover all windows. To counterbalance that, our AC and in-room wifi worked wonderfully and the receptionist helped us gratuitously by retrieving our laundry while we were out of country and storing them for us for a month, no charge! He also let us hang out in the dining room all day after check-out and even shower, as we waited for our night flight! Sometimes, when their kitchen is open, they do very cheap and quite tasty Thai food! Cheapest order of soda in a restaurant known to man. Coming from Myanmar's backpacking places though, this place felt almost a little heaven, shortcomings and all. We've been traveling SE-Asia on a backpacker budget for 6 months. - Transportation tip: Bus 15 from Ratchadamnoen Road or Sam Sen Road (by Banglampu Market) links you to the National Stadium or Siam BTS for about 7 baht. Bus 15 also takes you directly to the malls at Siam (MBK, Central World etc. ), the Lumpini Park and Red Cross Society (for cheap vaccinations) and the Silom Road (hindu temple Wat Kak + nearby embassies). Just do NOT travel during rush hour, as the traffic at the Democracy Monument can grind to a halt for more than an hour! really good location, nice place f you want to stay away from khao san road but still in the hood. The room was extremly small with no windows to the outside world. It was dark inside. Instead of the window there was a frame in the wall with mosquito net through you could look into the neighbors room. Zero privacy and super hot. The bed had springs that were sticking out. At night there were cockrroaches running on our bed. Two men who work there were very unfriendly. Would never recommend it because you can't have a good rest. The staff were very friendly and It is cheap but you can definitely find better places than this. There were no windows in the room & the fan was rubbish, very hot & uncomfortable. At night you could hear absolutely everything from all the rooms around you ! The guy receptionist was unfriendly and rude if we asked the direction and something he just said took a taxi and the driver will know. what kind of answer is that. even he dosnt give us a wifi password when i want o chec and reconfirm my email booking.however The other guy who work next door and her sister were nice enough. the bathroom was clean and the room is good enough. its really valuable with the room price. 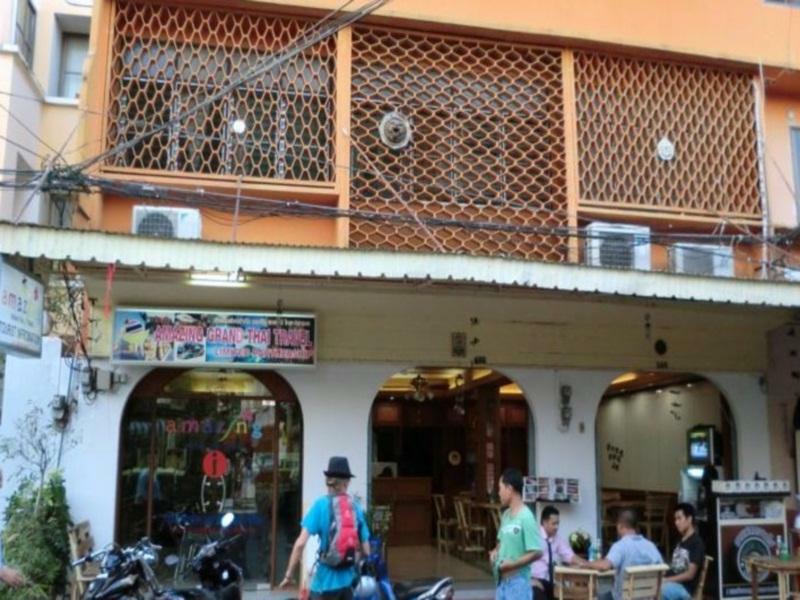 location of this Hotel is good, near to Khaosan road but not so close so you'll be able toreach by walking distance. The staff were not very friendly, but the location is good and the room was not the worst I've stayed in. It even had a window, which in Asia is not always the case. The sound insulation is very bad though. You can hear everything that's happening in the other rooms. Anyone manning reception was rude at every opportunity and made no eye contact-very unhelpful. The room was sweaty,dirty and disgusting and looked like a setting for a low budget horror movie with eery children's decoration on the filth-stained walls. Staff made us feel like we'd murdered their favourite pet and all we were after was some hot water for tea. Many many other nice places in the area. worst place we have stayed in 3 months of travelling...do not stay here! My stay was fine. I was looking for cheap accommodation and I got it. The room was very small, I had chosen a single person room with shared bath. The room size was not an issue as I didn't spend much time there but it was dirty and the walls were quite stained. The bathroom was fine. The toilet and shower are in the same space. This is quite common in Asia and I am used to it. Having only cold water was not an issue for me as it seemed to be luke warm and after being hot and sweaty all day it felt refreshing. The staff were all unhelpful especially the lady who works are the desk at night/morning. I asked several people for information and everyone said "I don't know." But they had "tourist information" on the window. Good for cheap place to stay but don't expect anything else. This is my first hotel to stay in Bangkok. And it's pretty darn good. It has good location, so close to Khaosan Road. Which is only about 10 minutes by walking. But I think the room is to dark, I feel not so comfortable to stay here more than a night. But it's worthed for its price. overall it was a good experience. unfortunately we did not pay attention that even if we booked a double room one can select only one person for that room. there is no possibility to select 2 people, so they will charge you extra at the venue. there are some workshops nearby and it was very noisy. the walls are pretty thin and you can hear the other guest walking.